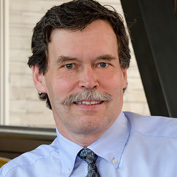 Jean Bourbeau, MD, FRCPC, is a respirologist and Professor in the Departments of Medicine and Epidemiology & Biostatistics at McGill University. He directs the Pulmonary Rehabilitation Unit at the MUHC’s Montreal Chest Institute, and the chronic obstructive pulmonary disease (COPD) axis of the Respiratory Network of the Fondation de Recherche en Santé du Québec (FRSQ). He is President of the Canadian Thoracic Society, and Chair of the Dissemination & Implementation committee as well as member of the executive committee of the Global Initiative for Chronic Lung Diseases (GOLD). His areas of research and expertise are in COPD, rehabilitation, disease and self-management (Living Well with COPD — livingwellwithcopd.com), health and behaviour, and clinical evaluative research. His research includes the large epidemiological study of COPD (Canadian Cohort of Obstructive Lung Disease “CanCOLD”) and evaluative research projects on new approaches in disease management.